In a nutshell, the new Tamron 70-210mm f/4 is a high quality accessory lens for Canon and Nikon full-frame and APS-C cropped-format DSLR cameras. It features image stabilization, internal zooming and a sophisticated optical formula, plus weather resistance, a slick design that’s a departure from older Tamron tele zooms and many other features. Although I do not believe there is any such thing as a coincidence, as I faced my PC monitor to begin this review I received an e-mail from Tamron’s top brass announcing that the lens I had been testing just won the EISA Award captioned above. EISA stands for European Imaging and Sound Association. Tamron lenses have won an EISA Award for the past 13 consecutive years, and a total of 20 overall. The optical construction of the new Tamron 70-210mm f/4 features 20 elements in 14 groups, including two LD (Low Dispersion) elements which minimize aberrations. The aperture diaphragm consists of nine blades and provides a circular opening to accentuate bokeh, those attractively blurred out-of-focus areas of an image that are so prevalent in portraits. Aperture range is f/4 to f/32. Cutaway view of Tamron 70-210mm f/4 lens. The red arrow indicates the position of the two LD glass elements. The lens stays the same compact length (6.9-inches in Canon mount, 6.8-inches in Nikon) throughout every operation. That is to say that focusing and zooming functions are internal and do not cause the lens to extend or retract; the center of balance is always in the same place. Additionally, the front element does not rotate during these operations, and that facilitates the use of polarizing and graduated filters. 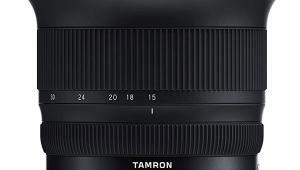 Minimum focus attainable by the Tamron 70-210mm f/4 is 37.4-inches, providing a reproduction ratio of 1:3.1. That’s very impressive for a lens with this zoom range. In fact, that’s best spec of any lens in this class. I often shoot close-up stuff with tele and zoom lenses because of the spectacular bokeh that they produce. This lens fits my needs to a tee. 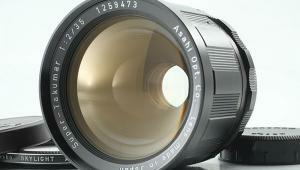 Lenses have contained microprocessors for many years. The Tamron 70-210mm f/4 contains two. The Dual MPU (Micro Processing Unit) works in concert with the Ultrasonic Silent Drive Autofocus Motor to deliver fast and more accurate autofocus. The Dual MPU also contributes to more robust image stabilization, which Tamron calls VC, or Vibration Compensation. The VC image stabilization provides shake reduction equal to four f/stops, as measured by CIPA standards, according to Tamron’s published specifications. I did not test this feature scientifically, but based on actual use and empirical evidence I believe the spec to be correct. 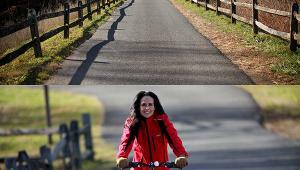 Image stabilization has the potential to improve every photo you take because it counteracts even slight camera shake. 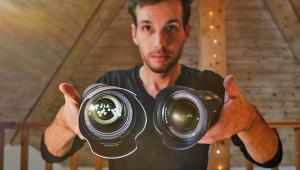 Long lenses, be they zoom or fixed, magnify the slightest amount of camera movement. 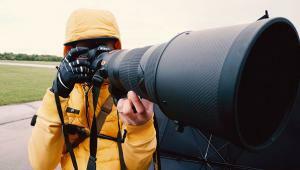 Therefore, having effective image stabilization on a long telephoto zoom is a significant benefit. What “shake reduction equal to four f/stops” means to you as a user is simple. If you can normally hold a lens rock-steady at the threshold of 1/250 of a second (but not at a slower speed without a tripod), four stops of VC image stabilization allows you to shoot at a shutter speed four stops slower with the same sharp results. So if you’re in a situation where it’s so dark that you must shoot wide-open at a long shutter speed but are afraid to do so because of your proclivity toward camera shake, fear no more. In this example, four stops slower than 1/250 second is 1/15 second. Pretty amazing, no? Does the math look wrong? Counting down from 1/250, one stop is 1/125; two stops is 1/60; three stops is 1/30; four stops is 1/15. Alternatively, by using a slower shutter speed you can allow moving subjects to blur if desired, or use a smaller aperture to gain greater depth of field. For instance, f/4 at 1/250 equals f/16 at 1/15 second. The Tamron 70-210mm tele zoom lens is an f/4. To repeat from above, the maximum aperture of f/4 is constant at all focal lengths. The aperture doesn’t change as you zoom as is the case with tele zooms that are labeled something like f/4-5.6 or similar. The primary benefits are twofold. First, because the lens is f/4 even at the longest focal length, you can use it at 210mm under lower lighting conditions (compared to a lens that squints down to f/5.6, for example, when zoomed all the way out). Second, when shooting at the 210mm position you can accentuate apparent sharpness by shooting wide-open and blurring the background behind the subject. 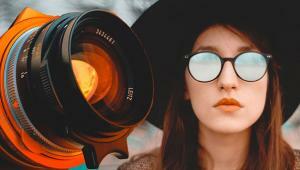 This is a technique routinely used by portrait photographers. While I don’t necessarily recommend shooting headshots at 200mm, the benefit applies equally to other subjects. Combined with the Tamron 70-210’s close focusing capability, limited depth of field can produce very dramatic results. 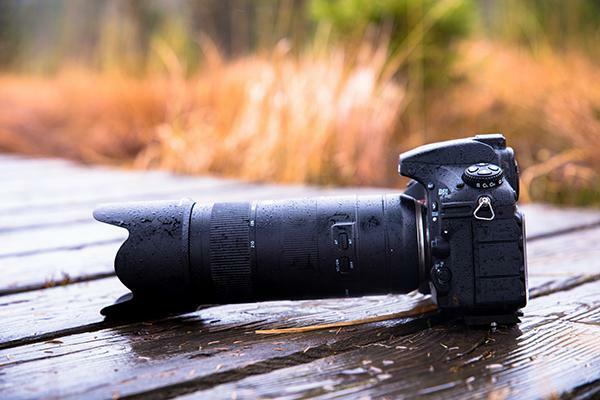 Although I never recommend using camera equipment unprotected in the rain or snow, or any other environment that could cause moisture to collect on the outside, Tamron has gone to great lengths to assure that moisture doesn’t get inside. They have added weatherproof seals to the lens mount area and other critical spots. In addition, the exposed surface of the front element is coated with a fluorine compound, a hydrophobic chemical cocktail that repels moisture, fingerprints and oil. The fluorine layer makes it easier and a little safer to clean the lens as well. Tamron 70-210mm f/4 lens shown with optional tripod mount. Mount is Arca-Swiss compatible. 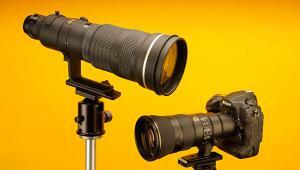 The Tamron 70-210mm f/4 accepts two Tamron teleconverters, a 1.4X and a 2X. 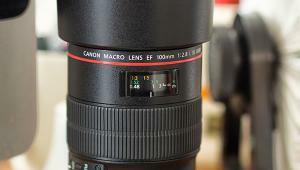 With the 2X in place, the effective focal length becomes 140-420mm on a full frame DSLR, and the magnification ratio 1:1.6. 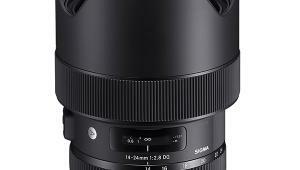 On a camera with an APS-C size sensor, the zoom range is roughly 217-651mm when using the 2X. 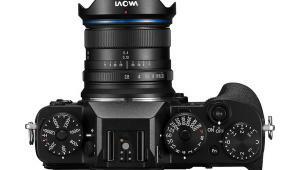 The optional TAP-in Console accessory allows the user to connect their lens(es) to a computer to update the firmware and tweak certain settings, like autofocus adjustment and image stabilization style. The Tamron 70-210mm f/4 lens is performance-matched with two teleconverters, a 1.4X and a 2X. Tamron also offers a tripod mount that is Arca-Swiss compatible, which is to say that it snaps into probably 98% of all tripod heads that use a groove-and-rail removable camera plate system. Solid and sleek, if I had to describe it in two words. The build construction is great, and overall the lens affords excellent tactile feedback. 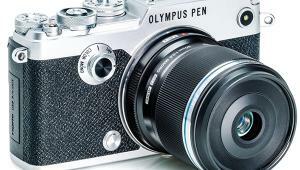 Both the internal zoom and internal focus rings rotate smoothly and cleanly. The overall weight (about 30-ounces) is nicely balanced and melded well with the Canon DSLR used in this review. New Jersey Jackals pitcher Yasmani Hernandez firing a fastball. Tamron 70-210mm on Canon EOS 5D Mk II, f/8, 1/800, ISO 400. Hernandez allowed only 1 hit in 8 innings and struck out 9 on his way to a 1-0 Jackals victory over the Trois-Rivieres Aigles. ©Jon Sienkiewicz. The proof of the pudding, as they say, is in the pictures. I used the Tamron 70-210mm f/4 at a New Jersey Jackals baseball game, a local rose garden, a branch location of the Audubon Society and miscellaneous spots near my home. I also shot several portraits of my teenage daughter who is camera shy and made me swear not to publish them. Performance was outstanding in all respects. Autofocus was fast and sure, and I was able to follow the action at the ballpark without time lag anxiety. Sharpness—well, you can judge for yourself—was excellent. Colors are rich, natural and saturated without alien cast or loss of contrast. Overall I give this lens the highest marks for performance and usability. It’s relatively compact—significantly smaller and lighter than a 70-200mm f/2.8—and therefore more pleasant to use all day while hiking. Price ($799) is more attractive, too. Much more attractive. Available in Canon and Nikon mounts, the Tamron 70-210mm f/4 Di VC USD goes for $799 at major retailers. 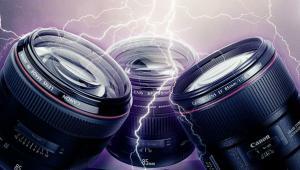 This includes Tamron’s six-year warranty. For comparison, the Tamron SP 70-200mm f/2.8 Di VC USD G2 zoom is $1299, and the Tamron SP 70-300mm f/4-5.6 Di VC USD tele zoom runs $299. There are more differences than just the maximum apertures, of course. 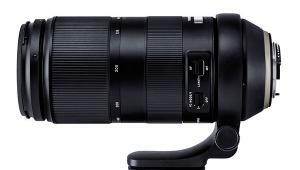 The new compact Tamron 70-210mm f/4 tele zoom is an excellent choice all-around. It’s ideal for action sports, wildlife, portraiture and general telephoto use. The constant f/4 maximum aperture is a major asset compared to zooms with variable apertures, and the VC image stabilization potentially improves every shot. One salient advantage is the availability of performance-matching teleconverters. On the whole it’s worth the asking price and a worthy addition to any photographer’s lens arsenal.